Collaborative Virtual Environment (CVE) is a form of environments where multiple users, whether remote or not, can collaboratively develop and control virtual 3D models, using advanced information and communication technology (ICT). CVE is expected to have significant impacts on design and construction of civil and built environments, as the following: CVE will contribute to improve the quality of civil and built environments, and decrease development period and project cost. CVE is expected to design more environment-friendly, green buildings and civil infrastructure by analyzing environmental aspects in the early stage of design. 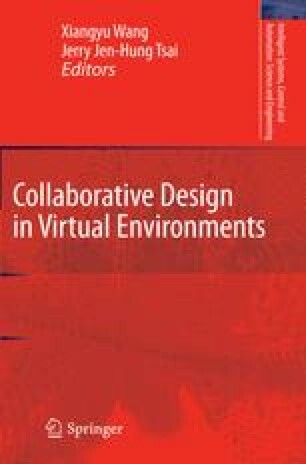 More creative design is also expected in CVE by the collaborative atmosphere among heterogeneous experts. CVE will contribute to obtaining social acceptance of design from citizens and stakeholders through better presentation and communication. CVE is expected to give significant impact on the reform of business processes of design and construction from design-bid-build to design-build.